"There is so much diversity and scope WITHIN EACH SONG, let alone within the larger context of the album as a whole… Suffice to say for now… that I have been enchanted - swept away - by your compositions..."
"You officially just received a biggest fan. I haven't heard anything like it. You're an amazing musician and so is everyone else in Surreal. And I'm honestly honored… to get to hear the music you make." 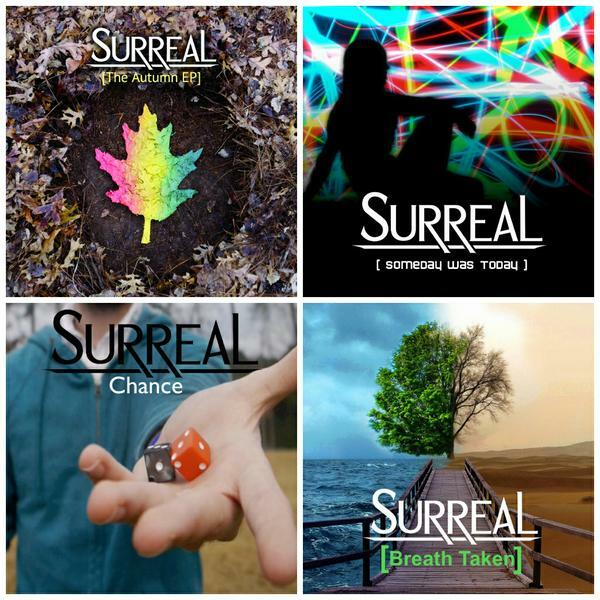 "Surreal has completely changed how I look at and appreciate music... Their music culminates in a feeling that is utterly breathtaking and uplifting." "I loved your music. The style is modern. I think you reinvented progressive rock." © 2019 Surreal. All Rights Reserved. Powered by HostBaby.